Throughout LaRue Pearce Davenport's, ʼ65, childhood and teenage years her parents would always say, "when you go to college" not "if you go to college." There was never a time she imagined her life without earning her degree and she knew at an early age that she wanted to be a teacher. Davenport has always remembered how her family saved for her college tuition, so she would be the first in her family to go to college. Her parents' commitment led her and husband, Norman, to make a $400,000 (may not put amount) planned gift in memory of her parents, Johnnie and Mary Pearce. The gift to Meredith College will help a student that is preparing to teach or become a counselor, just as she did twenty seven years ago. "I hope that our gift will provide an avenue for future teachers and guidance counselors to be able to achieve their goals, gain the skills and knowledge to teach young people, acquire the zest for lifelong learning, form lasting memories and friendships, and become strong women," says Davenport. As a child, Davenport would "play school" every afternoon when she returned home, teaching her imaginary students what she had learned that day. She still keeps the small chalkboard and desk she used as a reminder of where her love of teaching started. When it was college decision time, the Rolesville, NC native said Meredith was her first choice because of its outstanding reputation, its small size, and its excellent educational opportunities. As a student, professors had a profound impact on her life. "Geography was one of my favorite subjects throughout my life and Anna Peck taught world and U.S. geography. Both of those classes influenced my love of teaching those subjects, as well as, extensive traveling during my adult life," said Davenport. "And Lila Belle in the education department also strengthened my love for teaching elementary school students." Davenport started her teaching career at Mt. Auburn in Wake County, but the majority of her years she taught in Michigan and Alaska, where her husband Norman, served in the U.S. Air Force. She eventually earned her master's degree to become a guidance counselor as she realized how important parents, home life, and outside influences are to a child's education. In 1994, she was named Alaska School Counselor of the Year and was President of the Alaska School Counselor's Association for a number of years. "My Meredith professors, staff, and classmates all supported me and gave me lifelong skills that I needed to become a leader as well as a follower," said Davenport. 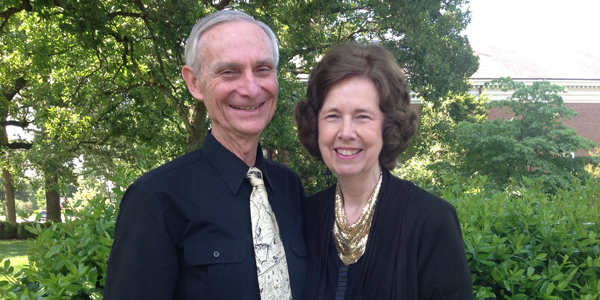 Davenport and her husband now reside on the coast of North Carolina and she enjoys staying connected to Meredith College.